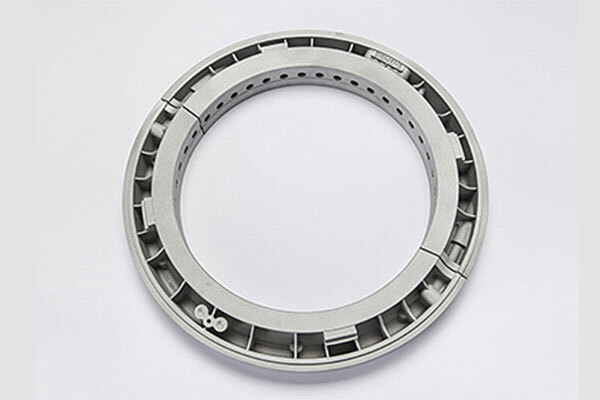 Siemens has reported an industry milestone in the area of Additive Manufacturing (AM) in the power generation segment with the company's first replacement parts 3D-printed from metal for an industrial steam turbine. The company is utilizing state-of-the-art AM technology to pave the way for greater agility in steam turbine component manufacturing and maintenance and to set new benchmarks for industrial power plant services. Just last year, Siemens achieved another breakthrough by finishing its first full-load engine tests for gas turbine blades completely produced using AM technology. Now, after years of extensive research, development and testing, the company has extended its leadership in the use of AM in energy applications by producing a steam turbine replacement part with AM, reducing lead time by as much as 40 per cent. The 3D-printed parts are two oil sealing rings used in keeping oil separated from steam inside the steam turbine using pressurized air. The rings are being installed as replacement parts on the SST-300 industrial steam turbine operating at the JSW Steel Ltd. plant in Salem, India. Siemens engineered, designed and developed the parts as part of a collaborative project between Siemens experts in Germany and India, as well as in Sweden, where the company operates a primary Additive Manufacturing center of expertise. Additive Manufacturing opened up new possibilities for making little changes with high impact in the design to further adapt the components to the client's challenging environment and needs. Siemens was able to add functional enhancements that could not have been made using a traditional manufacturing process. "This latest breakthrough is a game changer as it significantly reduces the lead time needed to produce these spare parts, enabling us to meet our customers' needs even more quickly," said Thorbjoern Fors, CEO of Siemens Power Generation Services, Distributed Generation and Oil & Gas. "With this latest achievement, it's evident that the investments and innovative advancements we are making in additive manufacturing are positively impacting the energy industry in this new and exciting digital age, just as we had anticipated."